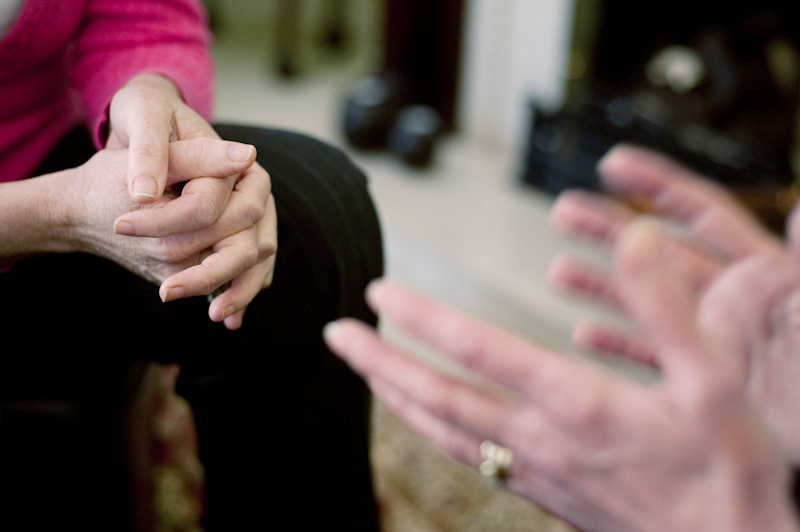 In Christian counseling we ask questions like “How is your prayer life?” or “Where are you in your Bible study?” as part of the getting to know the believer phase with one who has sought care. Almost to a person, where people’s lives have broken down and gotten off track, it can be traced directly to their contact with God. In church, a preacher or an elder saint might encourage you to “Read your Bible!” That’s no where near enough, and only some do, but honestly most don’t. Then, we wonder why we didn’t see things coming that a loving God would have revealed to us. Of course, we regularly ignore our contact with God, so it’s fair to ask “Who is responsible for seeing what God is telling us?” God is an unimaginably big God, and we are so microscopic. I really should have taken this sooner. In college we get degree requirements that have all kinds of course numbers and titles. Between ourselves and our academic counselors, we come up with a plan to make and execute the plan. I was amazed by all of the fun stuff lined up: Digging deep into Revelation/Daniel prophecy, learning Greek and Hebrew, apologetics… all the stuff a seminary student loves. Somewhere down the list is the less exciting church management and leadership; important, but no thrill-ride. And then you have the stuff that you get around to so you can graduate, but it looks really boring. That was my attitude toward “Spiritual Formation” – it would be a Zzzzz. I put the course off until my next-to-last semester. It was a lower-level class that is supposed to be done in the beginning of grad-school, but I was too eager to do the fun stuff. What I failed to understand is why it is an early course for ministry students. 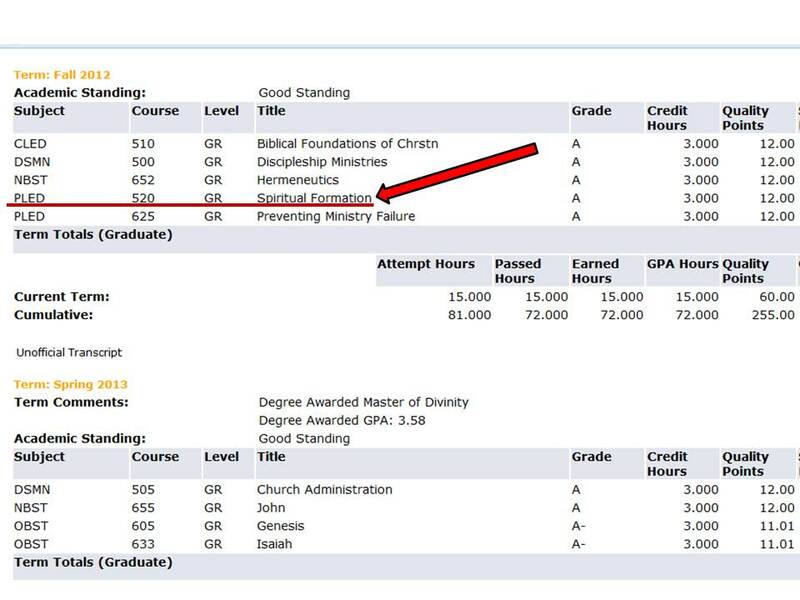 Spiritual Formation teaches you the discipline of developing spiritual tools you need for the journey through seminary. As I reflect, I see now how important our spiritual formation is to everything we do as Christians. This isn’t simply a grad-school thing. It is an “everything you do as a Christian” thing. Our spiritual discipline teaches us the habits of our faith. It keeps us ever connected to the Source of our power; almighty God. John 14:26-27 (NLT) But when the Father sends the Advocate as my representative—that is, the Holy Spirit—he will teach you everything and will remind you of everything I have told you. “I am leaving you with a gift—peace of mind and heart. And the peace I give is a gift the world cannot give. So don’t be troubled or afraid. The Advocate, the Holy Spirit is as close as your own breath. Christ promises that He will teach you and remind you of everything Jesus said. We have immediate access to God through the ministry of the Holy Spirit. We simply have to practice the spiritual discipline to reach out in prayer, fasting, worship and other activities. We have to practice the spiritual disciple to take in the Word that God has planned for us. You may think you’re independent in your Bible study, but Spirit Guided, that is impossible as He is speaking through the Bible. Now that I understand it more, I am so glad I am dependent on the Spirit to guide my training. 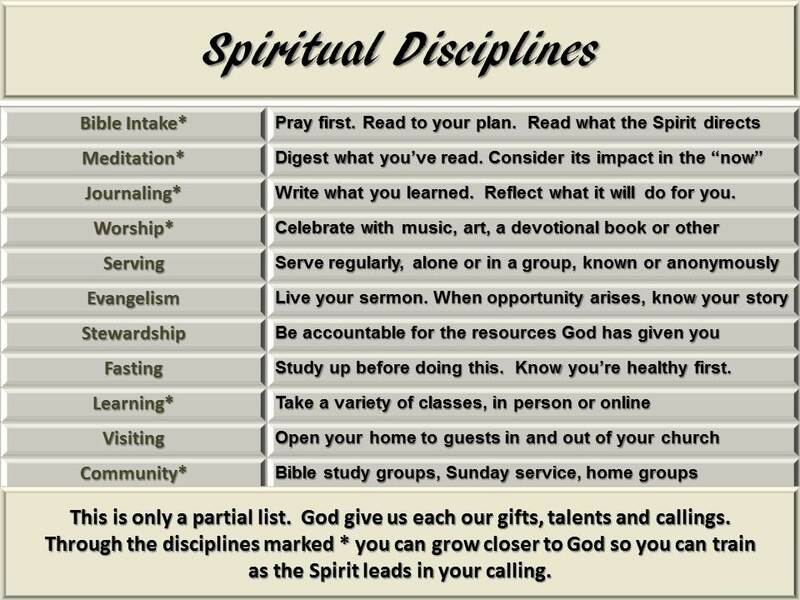 So what are the Spiritual disciplines? Though they are as varied as the believer, God prescribes certain disciplines for all believers. Start with the ones everybody should do. Schedule time on your calendar every day that is specifically set aside for “spiritual training”. As we close this article, I’ll direct your attention to just a few disciplines that you can use for training in godliness. Please scroll down to the image below. He is a very big God. Start small, start now, and grow. 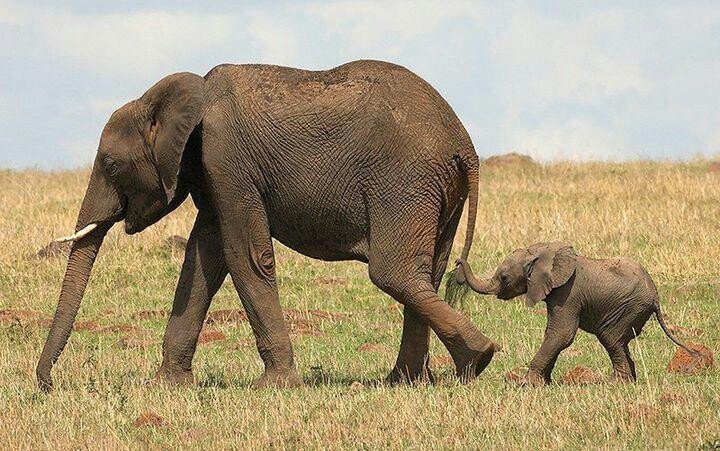 You eat an elephant 1 bite at a time. That’s good stuff David. Things like this, practical Christian living, are very important. Unfortunately, nobody teaches it to believers for the most part. New believers are pretty much on their own, sadly. Just ask me, I’ll be glad to tell you! Honestly, Wally, Until I took the class, I really never knew. This really ought to be right up with “Ourchurch 101” when new folks consider joining. I agree. I remember being a new Christian, and that wasn’t really that long ago, right at 8 years in fact. I didn’t know any more than a 9 year old who was saved LOL. I won’t ever forget the day I looked in the back of the Sunday School book and saw our Doctrinal Statement. I was shocked, because not a soul had ever pointed it out to me! What was funnier, was when I started crabbing at my poor preacher about why this was so, he just looked at me and said, “Well what are you going to do to prevent that in the future?”. Ooops! So, now another fellow and I teach that class on Sunday mornings,a point by point study of it. Should have kept my mouth shut.